of ethnic identity politics. An in-depth literature review is provided, as well as an overview of the moral/ethical issues surrounding ethnic group influence on U.S. foreign policy, especially after the events of September 11, 2001. 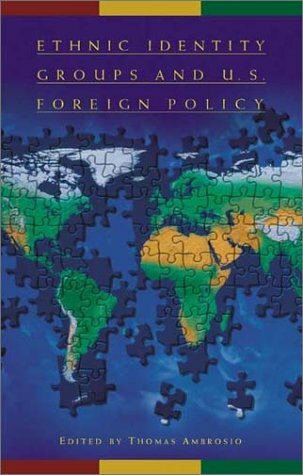 This volume is designed to spark debate on the theoretical, historical, and ethical issues of ethnic identity group influence on U.S. foreign policy. As such, it will be of special interest to scholars, students, researchers, policymakers, and anyone concerned with the making of American foreign policy. Latinos and Latin America: a Unified Agenda?